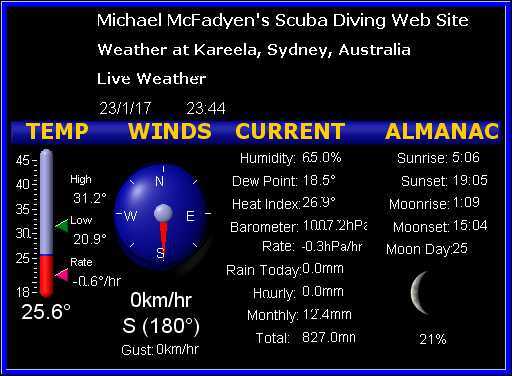 "Moulineaux Point has lots of artificial caves"
Current Conditions at our home at Kareela, Sydney (graphical display updated on the quarter hour and the information below it every five minutes). The following are some links to diving weather resources as well as sea conditions. Note that the wave period is important for diving for a number of reasons. >Click here to read why.